A new grants program to support environment, wildlife and heritage projects has been announced in the State Budget. Minister for Environment and Heritage Protection Dr Steven Miles said $12 million would fund the Community Sustainability Action grants over three years. 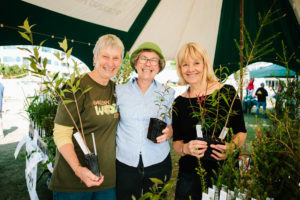 “The new grants program will support eligible community groups and individuals in their efforts to conserve Queensland’s unique environment and heritage,” Dr Miles said. “To encourage community groups to be more active, the Community Sustainability Action grants will support new ideas and initiatives. “Innovation often requires up-front investment, so we are looking to support the development of new ideas at grassroots level. The program will seek to support projects with a particular focus on: rehabilitation, protection and support for Queensland’s unique environment and wildlife; koala research to support the long term viability of populations in the wild; tackling invasive species to help protect native flora and fauna, and conserving Queensland’s heritage places. “Support for innovation could lead to better environmental outcomes, new products, processes or services,” Dr Miles said. “It could also help to reduce waste, protect our native species and conserve buildings of heritage value for generations to come. Innovation achieves value for money with real results,” he said.